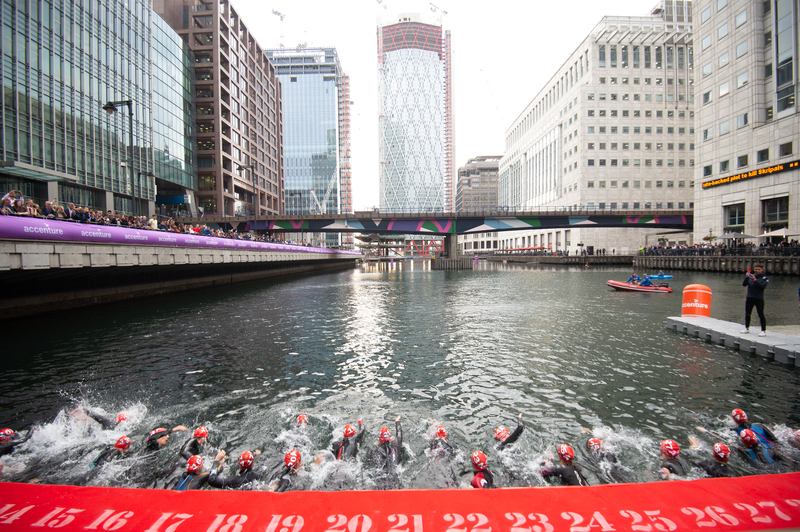 Over a period of 14 months, we worked with British Triathlon to help create a brand new concept in the heart of one of the worlds busiest business districts. 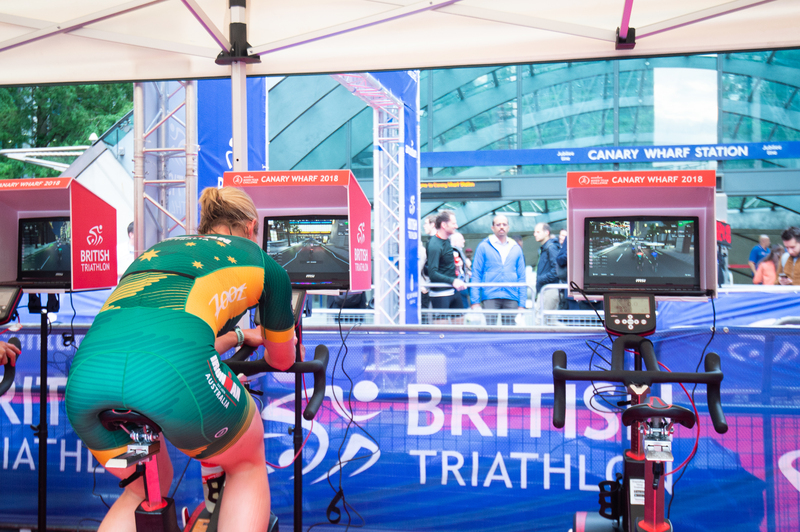 The event allowed British Triathlon and its key partners to engage with a variety of businesses and organisations in a Mixed Team Relay – 2 women and 2 men each doing a mini triathlon before handing over to the next participant. Each team swam in Middle Dock, before transitioning and cycling on a static virtual reality bike on Jubilee Plaza. The run was on the closed roads of Bank Street, with the finish back on Jubilee Plaza. We came in to help design the event and then once in place we took on the role of Production and Safety Management. 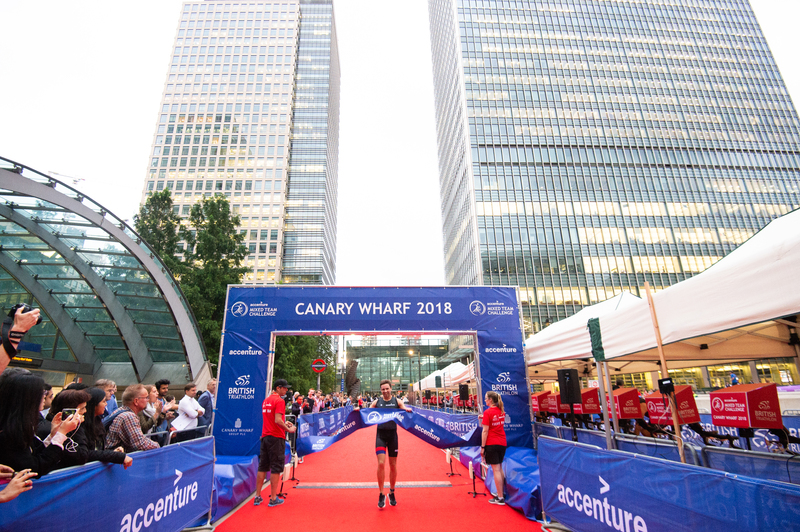 To ensure the Estate could still operate as normal, we came up with the concept of a static bike and worked with Road Grand Tours to design the Canary Wharf Estate as a 3D world for participants to ride in. We wrote the Event Safety Plans, Risk Assessments, Contingency and Emergency Plans and liaised with key stakeholders including TFL, Canary Wharf Group and Canals and River Trust to ensure plans were in line with the processes of the Estate, of the Plaza and of the Docks Authority. As Event Safety Officer on site, we worked with contractors, medical, water safety and stakeholders to ensure the event was delivered safely and to a high standard.